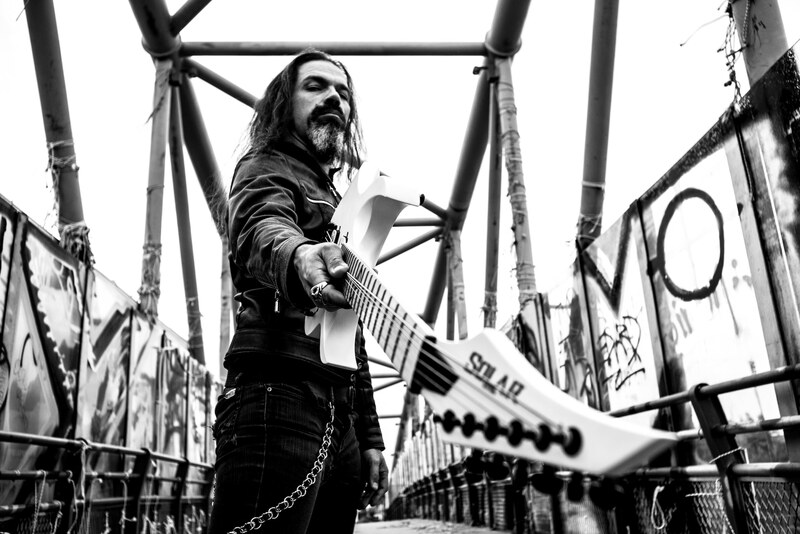 George Bokos is a Greek guitar player, composer, producer and engineer with 20 years of experience in the Metal/Rock music scene. As a guitar player he was introduced to a greater audience in 2001 with his work with NIGHTFALL by releasing two studio albums with them. In 2005 he moves to legendary Greek band ROTTING CHRIST, with whom George became an active touring musician and performed in more than 500 shows around the globe till 2012.
toured and shared the same Stage with Bands such as MALEVOLENT CREATION, IMMOLATION,VADER, MELECHESH, HATE, and many more. Ιn 2010 and in between touring, George formed his own Band STONE COLD DEAD as a way to express his own musical direction. Contrabass player Charis Pazaroulas very soon joined forces and shared the same vision with George . Stone Cold Dead’s debut album “Lava Flows” was released on November 2015. Its unique element is that three extraordinary drummers became part of the recording line-up, each in a different triad . George Kollias (NILE),Yannis Stavropoulos (NUKeLEUS) and Dimitrios Dorian-Vorskaath (ZEMIAL) gave their own special mark on STONE COLD DEAD’s debut album. “Lava Flows” was produced and engineered by George at Grindhouse Studios Athens. George is also know for his dedication in producing and engineering over the years and has more than 100 albums in his portfolio. and many more from all over the globe, in terms of engineering, production or pre-production, mixing & mastering. i knew right away that the A2.6 equipped with the Evertune bridge would be the ideal instrument for my needs !! From he songwritting till the recording and production process the Solar is literally a pure, inspirational and awesome sounding guitar. I am beyond honoured to be part of the Solar Guitars Family ! !